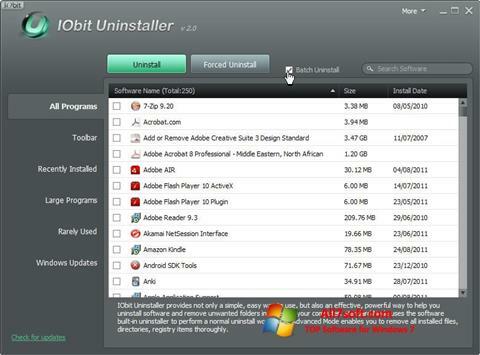 IObit Uninstaller for Windows 7 - A tool for the complete removal of software and unused components of the system. The program includes a set of functions for analyzing and then uninstalling applications and all temporary files, registry keys, links and related folders, and allows you to change the list of downloaded Windows updates. The utility creates backups after a specified period of time, integrates into the context menu of the explorer, is able to replace the standard means of uninstalling programs. The application can change the list of executive files of the system, supports complex deletion in silent mode. You can free download IObit Uninstaller official latest version for Windows 7 in English.